"Corrupt" redirects here. For other uses, see Corrupt (disambiguation). Individual nation articles should be consulted on specific national responses to corruption. Corruption can occur on different scales. Corruption ranges from small favors between a small number of people (petty corruption), to corruption that affects the government on a large scale (grand corruption), and corruption that is so prevalent that it is part of the everyday structure of society, including corruption as one of the symptoms of organized crime. Corruption and crime are endemic sociological occurrences which appear with regular frequency in virtually all countries on a global scale in varying degree and proportion. Individual nations each allocate domestic resources for the control and regulation of corruption and crime. Strategies to counter corruption are often summarized under the umbrella term anti-corruption. A billboard in Zambia exhorting the public to "Just say no to corruption". An anti-corruption billboard at the entry into Niamey, capital of Niger. The text, translated from French, reads: "Together, let's fight against corruption at the borders", and "With my identity card or my passport plus my vaccinaton certificate, I can travel in all tranquillity within the realm of ECOWAS". Stephen D. Morris, a professor of politics, writes that political corruption is the illegitimate use of public power to benefit a private interest. Economist Ian Senior defines corruption as an action to (a) secretly provide (b) a good or a service to a third party (c) so that he or she can influence certain actions which (d) benefit the corrupt, a third party, or both (e) in which the corrupt agent has authority. Daniel Kaufmann, from the World Bank, extends the concept to include 'legal corruption' in which power is abused within the confines of the law—as those with power often have the ability to make laws for their protection. The effect of corruption in infrastructure is to increase costs and construction time, lower the quality and decrease the benefit. The research work on social corruption developed at The Unicist Research Institute defines that corruption allows individuals to profit from the environment through illegitimate actions while they disintegrate the system they are part of. A number of indicators and tools have been developed which can measure different forms of corruption with increasing accuracy. Petty corruption occurs at a smaller scale and takes place at the implementation end of public services when public officials meet the public. For example, in many small places such as registration offices, police stations, state licensing boards, and many other private and government sectors. The government system in many countries is divided into the legislative, executive and judiciary branches in an attempt to provide independent services that are less subject to grand corruption due to their independence from one another. Factors which encourage systemic corruption include conflicting incentives, discretionary powers; monopolistic powers; lack of transparency; low pay; and a culture of impunity. Specific acts of corruption include "bribery, extortion, and embezzlement" in a system where "corruption becomes the rule rather than the exception." Scholars distinguish between centralized and decentralized systemic corruption, depending on which level of state or government corruption takes place; in countries such as the Post-Soviet states both types occur. Some scholars argue that there is a negative duty[clarification needed] of western governments to protect against systematic corruption of underdeveloped governments. Corruption can occur in many sectors, whether they be public or private industry or even NGOs (especially in public sector). However, only in democratically controlled institutions is there an interest of the public (owner) to develop internal mechanisms to fight active or passive corruption, whereas in private industry as well as in NGOs there is no public control. Therefore, the owners' investors' or sponsors' profits are largely decisive. Public corruption includes corruption of the political process and of government agencies such as the police as well as corruption in processes of allocating public funds for contracts, grants, and hiring. Recent research by the World Bank suggests that who makes policy decisions (elected officials or bureaucrats) can be critical in determining the level of corruption because of the incentives different policy-makers face. Political corruption is the abuse of public power, office, or resources by elected government officials for personal gain, by extortion, soliciting or offering bribes. It can also take the form of office holders maintaining themselves in office by purchasing votes by enacting laws which use taxpayers' money. Evidence suggests that corruption can have political consequences- with citizens being asked for bribes becoming less likely to identify with their country or region. The political act of Graft (American English), is a well known and now global form of political corruption, being the unscrupulous and illegal use of a politician's authority for personal gain, when funds intended for public projects are intentionally misdirected in order to maximize the benefits to illegally private interests of the corrupted individual(s) and their cronies. The Kaunas golden toilet case was a major Lithuanian scandal. In 2009, municipality of Kaunas (led by mayor Andrius Kupčinskas) ordered that a shipping container was to be converted into an outdoor toilet at a cost of 500'000 litas (around 150'000 euros). It was to also require 5'000 LTL (1'500 EUR) in monthly maintenance costs. At the same time when Kaunas "golden toilet" was built, Kėdainiai tennis club acquired a very similar, but more advanced solution for 4'500 EUR. Because of the inflated cost of the outdoor toilet was nicknamed "golden toilet". Despite the investment, the "golden toilet" remained closed for years due to the dysfunctionality and was a subject of a lengthy anti-corruption investigation into those who had created it and  the local municipality even considered demolishing the building at one point. The group of public servants involved in the toilet's procurement received various prison sentences for recklessness, malfeasance, misuse of power and document falsifications in a 2012 court case, but were cleared of their corruption charges and received compensation, which pushed the total construction cost and subsequent related financial losses to 352'000 euros. Various sources acclaim the Spanish People's Party – Partido Popular -, to be Europe's most corrupt party, with about yearly 45 billion euro worth of corruption. Police corruption is a specific form of police misconduct designed to obtain financial benefits, personal gain, career advancement for a police officer or officers in exchange for not pursuing or selectively pursuing an investigation or arrest or aspects of the thin blue line itself where force members collude in lies to protect other members from accountability. One common form of police corruption is soliciting or accepting bribes in exchange for not reporting organized drug or prostitution rings or other illegal activities. Another example is police officers flouting the police code of conduct in order to secure convictions of suspects—for example, through the use of falsified evidence. More rarely, police officers may deliberately and systematically participate in organized crime themselves. In most major cities, there are internal affairs sections to investigate suspected police corruption or misconduct. Similar entities include the British Independent Police Complaints Commission. Judicial corruption refers to corruption-related misconduct of judges, through receiving or giving bribes, improper sentencing of convicted criminals, bias in the hearing and judgement of arguments and other such misconduct. Governmental corruption of judiciary is broadly known in many transitional and developing countries because the budget is almost completely controlled by the executive. The latter undermines the separation of powers, as it creates a critical financial dependence of the judiciary. The proper national wealth distribution including the government spending on the judiciary is subject to the constitutional economics. It is important to distinguish between the two methods of corruption of the judiciary: the government (through budget planning and various privileges), and the private. Judicial corruption can be difficult to completely eradicate, even in developed countries. Corruption in judiciary also involves the government in power using the judicial arm of government to oppress the opposition parties in the detriments of the state. Corruption in education is a worldwide phenomenon. Corruption in admissions to universities is traditionally considered as one of the most corrupt areas of the education sector. Recent attempts in some countries, such as Russia and Ukraine, to curb corruption in admissions through the abolition of university entrance examinations and introduction of standardized computer-graded tests have largely failed. Vouchers for university entrants have never materialized. The cost of corruption is in that it impedes sustainable economic growth. Endemic corruption in educational institutions leads to the formation of sustainable corrupt hierarchies. While higher education in Russia is distinct with widespread bribery, corruption in the US and the UK features a significant amount of fraud. The US is distinct with grey areas and institutional corruption in the higher education sector. Authoritarian regimes, including those in the former Soviet republics, encourage educational corruption and control universities, especially during the election campaigns. This is typical for Russia, Ukraine, and Central Asian regimes, among others. The general public is well aware of the high level of corruption in colleges and universities, including thanks to the media. Doctoral education is no exception, with dissertations and doctoral degrees available for sale, including for politicians. Russian Parliament is notorious for "highly educated" MPs High levels of corruption are a result of universities not being able to break away from their Stalinist past, over bureaucratization, and a clear lack of university autonomy. Both quantitative and qualitative methodologies are employed to study education corruption, but the topic remains largely unattended by the scholars. In many societies and international organizations, education corruption remains a taboo. In some countries, such as certain eastern European countries, some Balkan countries and certain Asian countries, corruption occurs frequently in universities. This can include bribes to bypass bureaucratic procedures and bribing faculty for a grade. The willingness to engage in corruption such as accepting bribe money in exchange for grades decreases if individuals perceive such behavior as very objectionable, i.e. a violation of social norms and if they fear sanctions regarding the severity and probability of sanctions. The history of religion includes numerous examples of religious leaders calling attention to corruption in the religious practices and institutions of their time. Jewish prophets Isaiah and Amos berate the rabbinical establishment of Ancient Judea for failing to live up to the ideals of the Torah. In the New Testament, Jesus accuses the rabbinical establishment of his time of hypocritically following only the ceremonial parts of the Torah and neglecting the more important elements of justice, mercy and faithfulness. Corruption was one of the important issues during the Investiture Controversy. In 1517, Martin Luther accuses the Catholic Church of widespread corruption, including selling of indulgences. In 2015, Princeton University professor Kevin M. Kruse advances the thesis that business leaders in the 1930s and 1940s collaborated with clergymen, including James W. Fifield Jr., to develop and promote a new hermeneutical approach to Scripture that would de-emphasize the social Gospel and emphasize themes, such as individual salvation, more congenial to free enterprise. Business leaders, of course, had long been working to "merchandise" themselves through the appropriation of religion. In organizations such as Spiritual Mobilization, the prayer breakfast groups, and the Freedoms Foundation, they had linked capitalism and Christianity and, at the same time, likened the welfare state to godless paganism. 19th century German philosopher Arthur Schopenhauer acknowledges that academics, including philosophers, are subject to the same sources of corruption as the society they inhabit. He distinguishes the corrupt "university" philosophers, whose "real concern is to earn with credit an honest livelihood for themselves and ... to enjoy a certain prestige in the eyes of the public" from the genuine philosopher, whose sole motive is to discover and bear witness to the truth. To be a philosopher, that is to say, a lover of wisdom (for wisdom is nothing but truth), it is not enough for a man to love truth, in so far as it is compatible with his own interest, with the will of his superiors, with the dogmas of the church, or with the prejudices and tastes of his contemporaries; so long as he rests content with this position, he is only a φίλαυτος [lover of self], not a φιλόσοφος [lover of wisdom]. For this title of honor is well and wisely conceived precisely by its stating that one should love the truth earnestly and with one’s whole heart, and thus unconditionally and unreservedly, above all else, and, if need be, in defiance of all else. Now the reason for this is the one previously stated that the intellect has become free, and in this state, it does not even know or understand any other interest than that of truth. In criminology, corporate crime refers to crimes committed either by a corporation (i.e., a business entity having a separate legal personality from the natural persons that manage its activities), or by individuals acting on behalf of a corporation or other business entity (see vicarious liability and corporate liability). Some negative behaviours by corporations may not be criminal; laws vary between jurisdictions. For example, some jurisdictions allow insider trading. Petróleo Brasileiro S.A. — Petrobras, more commonly known as simply Petrobras (Portuguese pronunciation: [ˌpɛtɾoˈbɾas]), is a semi-public Brazilian multinational corporation in the petroleum industry headquartered in Rio de Janeiro, Brazil. The company's name translates to Brazilian Petroleum Corporation — Petrobras. The company was ranked #58 in the 2016 Fortune Global 500 list. It is being investigated over corporate and political collusion and corruption. Odebrecht is a privately held Brazilian conglomerate consisting of diversified businesses in the fields of engineering, real estate, construction, chemicals and petrochemicals. The company was founded in 1944 in Salvador da Bahia by Norberto Odebrecht, and the firm is now present in South America, Central America, North America, the Caribbean, Africa, Europe and the Middle East. Its leading company is Norberto Odebrecht Construtora [pt]. Odebrecht is one of the 25 largest international construction companies and is still led by Odebrecht family. The firm's executives were examined during Operation Car Wash part of an investigation over Odebrecht Organization bribes to executives of Petrobras, in exchange for contracts and influence. Operation Car Wash is an ongoing criminal money laundering and bribes related corporate crime investigation being carried out by the Federal Police of Brazil, Curitiba Branch, and judicially commanded by Judge Sérgio Moro since March 17, 2014. In 2006 Transparency International ranked Angola a lowly 142 out of 163 countries in the Corruption Perception Index just after Venezuela and before the Republic of the Congo with a 2.2 rating. Angola was at 168th place (out of 178 countries) on Transparency International’s Corruption Perceptions Index (CPI), receiving a 1.9 on a scale from 0 to 10. On the World Bank's 2009 Worldwide Governance Index, Angola had done very poorly on all six aspects of governance assessed. While its score for political stability improved to 35.8 in 2009 (on a 100-point scale) from 19.2 in 2004, Angola earned especially low scores for accountability, regulatory standards, and rule of law. The score for corruption declined from an extremely low 6.3 in 2004 to 5.2 in 2009. The country is regarded poorly and that corruption is wounding the economy badly despite the emerging oil industries wealth. The Mitterrand–Pasqua affair, also known informally as Angolagate, was an international political scandal over the secret and illegal sale and shipment of arms from the nations of Central Europe to the government of Angola by the Government of France in the 1990s. It led to arrests and judiciary actions in the 2000s, involved an illegal arms sale to Angola despite a UN embargo, with business interests in France and elsewhere improperly obtaining a share of Angolan oil revenues. The scandal has subsequently been tied to several prominent figures in French politics. “Angolagate”, which was carried out and uncovered over the course of the 1990s. 42 individuals, including: 42 people, including Jean-Christophe Mitterrand, Jacques Attali, Charles Pasqua and Jean-Charles Marchiani, Pierre Falcone. Arcadi Gaydamak, Paul-Loup Sulitzer, Union for a Popular Movement deputy Georges Fenech, Philippe Courroye [fr] the son of François Mitterrand and a former French Minister of the Interior, were all charged, accused, indicted or convicted with illegal arms trading, tax fraud, embezzlement, money laundering and other crimes. " Bribery involves the improper use of gifts and favours in exchange for personal gain. This is also known as kickbacks or, in the Middle East, as baksheesh. It is the common form of corruption. The types of favours given are diverse and may include money, gifts, sexual favours, company shares, entertainment, employment and political benefits. The personal gain that is given can be anything from actively giving preferential treatment to having an indiscretion or crime overlooked. Networking can be an effective way for job-seekers to gain a competitive edge over others in the job-market. The idea is to cultivate personal relationships with prospective employers, selection panelists, and others, in the hope that these personal affections will influence future hiring decisions. This form of networking has been described as an attempt to corrupt formal hiring processes, where all candidates are given an equal opportunity to demonstrate their merits to selectors. The networker is accused of seeking non-meritocratic advantage over other candidates; advantage that is based on personal fondness rather than on any objective appraisal of which candidate is most qualified for the position. Euro bank notes hidden in sleeve. Favouritism, nepotism and clientelism involve the favouring of not the perpetrator of corruption but someone related to them, such as a friend, family member or member of an association. Examples would include hiring or promoting a family member or staff member to a role they are not qualified for, who belongs to the same political party as you, regardless of merit. Corruption is strongly negatively associated with the share of private investment and, hence, it lowers the rate of economic growth. Corruption reduces the returns of productive activities. If the returns to production fall faster than the returns to corruption and rent-seeking activities, resources will flow from productive activities to corruption activities over time. This will result in a lower stock of producible inputs like human capital in corrupted countries. Corruption creates the opportunity for increased inequality, reduces the return of productive activities, and, hence, makes rentseeking and corruption activities more attractive. This opportunity for increased inequality not only generates psychological frustration to the underprivileged but also reduces productivity growth, investment, and job opportunities. Greed of money, power, Luxury or any other materialistic desires. Lack of commitment to the society. According to the amended Klitgaard equation, limitation of monopoly and regulator discretion of individuals and a high degree of transparency through independent oversight by non-governmental organisations (NGOs) and the media plus public access to reliable information could reduce the problem. Djankov and other researchers have independently addressed the important role information plays in fighting corruption with evidence from both developing and developed countries. Disclosing financial information of government officials to the public is associated with improving institutional accountability and eliminating misbehavior such as vote buying. The effect is specifically remarkable when the disclosures concern politicians’ income sources, liabilities and asset level instead of just income level. Any extrinsic aspects that might reduce morality should be eliminated. Additionally, a country should establish a culture of ethical conduct in society with the government setting the good example in order to enhance the intrinsic morality. Creating bottom-up mechanisms, promoting citizens participation and encouraging the values of integrity, accountability, and transparency are crucial components of fighting corruption. The implementation of the ALACs “Advocacy and Legal Advice Centres (ALACs)” has led to a significant increase in the number of citizen complaints against acts of corruption received and documented and also to the development of strategies for good governance by involving citizens willing to fight against corruption. The Foreign Corrupt Practices Act (FCPA, USA 1977) was an early paradigmatic law for many western countries i.e. industrial countries of the OECD. There, for the first time the old principal-agent approach was moved back where mainly the victim (a society, private or public) and a passive corrupt member (an individual) were considered, whereas the active corrupt part was not in the focus of legal prosecution. Unprecedented, the law of an industrial country directly condemned active corruption, particularly in international business transactions, which was at that time in contradiction to anti-bribery activities of the World Bank and its spin-off organization Transparency International. As early as 1989 the OECD had established an ad hoc Working Group in order to explore "...the concepts fundamental to the offense of corruption, and the exercise of national jurisdiction over offenses committed wholly or partially abroad." Based on the FCPA concept, the Working Group presented in 1994 the then "OECD Anti-Bribery Recommendation" as precursor for the OECD Convention on Combating Bribery of Foreign Public Officials in International Business Transactions which was signed in 1997 by all member countries and came finally into force in 1999. However, because of ongoing concealed corruption in international transactions several instruments of Country Monitoring have been developed since then by the OECD in order to foster and evaluate related national activities in combating foreign corrupt practices. One survey shows that after the implementation of heightened review of multinational firms under the convention in 2010 firms from countries that had signed the convention were less likely to use bribery. In 1977 the USA had enacted the Foreign Corrupt Practices Act (FCPA) "for the purpose of making it unlawful... to make payments to foreign government officials to assist in obtaining or retaining business" and invited all OECD countries to follow suit. In 1997 a corresponding OECD Anti-Bribery Convention was signed by its members. 17 years after the FCPA enacting, a Parliamentary Financial Commission in Bonn presented a comparative study on legal corruption in industrialized OECD countries As a result, they reported that in most industrial countries even at that time (1994) foreign corruption was legal, and that their foreign corrupt practices had been diverging to a large extent, ranging from simple legalization, through governmental subsidization (tax deduction), up to extremes like in Germany where foreign corruption was fostered, whereas domestic was legally prosecuted. Consequently, in order to support national export corporations the Parliamentary Financial Commission recommended to reject a related previous Parliamentary Proposal by the opposition leader which had been aiming to limit German foreign corruption on the basis of the US FCPA. Only after the OECD Anti-Bribery Convention came into force, did Germany withdraw the legalization of foreign corruption in 1999. The Foreign corrupt practices of industrialized OECD countries 1994 (Parliamentary Financial Commission study, Bonn). Austria: bribes justified by the operation (of a company) are deductible as business expenses. However, the tax authority may require that the payer names the recipient of the deducted payments exactly. If the indication of the name is denied e.g. because of business comity, the expenses claimed are not recognized as operating expenses. This principle also applies to payments to foreigners. Referring to the recommendation of the above-mentioned Parliamentary Financial Commission's study, the then Kohl administration (1991–1994) decided to maintain the legality of corruption against officials exclusively in foreign transactions and confirmed the full deductibility of bribe money, co-financing thus a specific nationalistic corruption practice (§4 Abs. 5 Nr. 10 EStG, valid until March 19, 1999) in contradiction to the 1994 OECD recommendation. The respective law was not changed before the OECD Convention also in Germany came into force (1999). According to the Parliamentary Financial Commission's study, however, in 1994 most countries' corruption practices were not nationalistic and much more limited by the respective laws compared to Germany. Development of the shadow economy in (West-) Germany 1975–2015. Original shadow economy data from Friedrich Schneider, University Linz. Particularly, the non-disclosure of the bribe money recipients' name in tax declarations had been a powerful instrument for Legal Corruption during the 1990s for German corporations, enabling them to block foreign legal jurisdictions which intended to fight corruption in their countries. Hence, they uncontrolled established a strong network of clientelism around Europe (e.g. SIEMENS) along with the formation of the European Single Market in the upcoming European Union and the Eurozone. Moreover, in order to further strengthen active corruption the prosecution of tax evasion during that decade had been severely limited. German tax authorities were instructed to refuse any disclosure of bribe recipients' names from tax declarations to the German criminal prosecution. As a result, German corporations have been systematically increasing their informal economy from 1980 until today up to 350 bn € per annum (see diagram on the right), thus continuously feeding their black money reserves. In 2007, Siemens was convicted in the District Court of Darmstadt of criminal corruption against the Italian corporation Enel Power SpA. Siemens had paid almost €3.5 million in bribes to be selected for a €200 million project from the Italian corporation, partially owned by the government. The deal was handled through black money accounts in Switzerland and Liechtenstein that were established specifically for such purposes. Because the crime was committed in 1999, after the OECD convention had come into force, this foreign corrupt practice could be prosecuted. According to Bucerius Law School professors Frank Saliger and Karsten Gaede, for the first time a German court of law convicted foreign corrupt practices like national ones although the corresponding law did not yet protect foreign competitors in business. During the judicial proceedings however it was disclosed that numerous such black accounts had been established in the past decades. Philosophers and religious thinkers have responded to the inescapable reality of corruption in different ways. Plato, in The Republic, acknowledges the corrupt nature of political institutions, and recommends that philosophers "shelter behind a wall" to avoid senselessly martyring themselves. Disciples of philosophy ... have tasted how sweet and blessed a possession philosophy is, and have also seen and been satisfied of the madness of the multitude, and known that there is no one who ever acts honestly in the administration of States, nor any helper who will save any one who maintains the cause of the just. Such a savior would be like a man who has fallen among wild beasts—unable to join in the wickedness of his fellows, neither would he be able alone to resist all their fierce natures, and therefore he would be of no use to the State or to his friends, and would have to throw away his life before he had done any good to himself or others. And he reflects upon all this, and holds his peace, and does his own business. He is like one who retires under the shelter of a wall in the storm of dust and sleet which the driving wind hurries along; and when he sees the rest of mankind full of wickedness, he is content if only he can live his own life and be pure from evil or unrighteousness, and depart in peace and good will, with bright hopes. The New Testament, in keeping with the tradition of Ancient Greek thought, also frankly acknowledges the corruption of the world (ὁ κόσμος) and claims to offer a way of keeping the spirit "unspotted from the world." Paul of Tarsus acknowledges his readers must inevitably "deal with the world," and recommends they adopt an attitude of "as if not" in all their dealings. When they buy a thing, for example, they should relate to it "as if it were not theirs to keep." New Testament readers are advised to refuse to "conform to the present age" and not to be ashamed to be peculiar or singular. They are advised not be friends of the corrupt world, because "friendship with the world is enmity with God." They are advised not to love the corrupt world or the things of the world. The rulers of this world, Paul explains, "are coming to nothing" While readers must obey corrupt rulers in order to live in the world, the spirit is subject to no law but to love God and love our neighbors as ourselves. New Testament readers are advised to adopt a disposition in which they are "in the world, but not of the world." This disposition, Paul claims, shows us a way to escape "slavery to corruption" and experience the freedom and glory of being innocent "children of God". ^ Elliott, Kimberly Ann (1950). "Corruption as an international policy problem: overview and recommendations" (PDF). Washington, DC: Institute for International Economics. ^ a b Kaufmann, Daniel; Vicente, Pedro (2005). "Legal Corruption" (PDF). World Bank. ^ Peter Belohlavek (June 2017). "Social Corruption and Corruption Inhibitors as a Complex Adaptive System". SSRN. doi:10.2139/ssrn.3066116. ^ Elliott, Kimberly Ann (1997). "Corruption as an international policy problem: overview and recommendations" (PDF). Washington, DC: Institute for International Economics. ^ "Mishler v. State Bd. of Med. Examiners". Justia Law. ^ Alt, James. "Political And Judicial Checks On Corruption: Evidence From American State Governments" (PDF). Projects at Harvard. Archived from the original (PDF) on 2015-12-03. ^ "Glossary". U4 Anti-Corruption Resource Centre. Retrieved 26 June 2011. ^ Znoj, Heinzpeter (2009). "Deep Corruption in Indonesia: Discourses, Practices, Histories". In Monique Nuijten, Gerhard Anders (ed.). Corruption and the secret of law: a legal anthropological perspective. Ashgate. pp. 53–54. ISBN 978-0-7546-7682-9. ^ Legvold, Robert (2009). "Corruption, the Criminalized State, and Post-Soviet Transitions". In Robert I. Rotberg (ed.). Corruption, global security, and world orde. Brookings Institution. p. 197. ISBN 978-0-8157-0329-7. ^ Merle, Jean-Christophe, ed. (2013). "Global Challenges to Liberal Democracy". Spheres of Global Justice. 1: 812. ^ Pogge, Thomas. "Severe Poverty as a Violation of Negative Duties". thomaspogge.com. Archived from the original on 11 February 2015. Retrieved 8 February 2015. ^ Hamilton, Alexander (2013). "Small is beautiful, at least in high-income democracies: the distribution of policy-making responsibility, electoral accountability, and incentives for rent extraction" (PDF). World Bank. ^ "SOS, Missouri – State Archives Publications". Sos.mo.gov. Retrieved 2013-04-19. ^ Hamilton, A.; Hudson, J. (2014). "Bribery and Identity: Evidence from Sudan" (PDF). Bath Economic Research Papers, No 21/14. ^ "Plus de 45 milliards d'€ de corruption annuelle : Rajoy est à la tête du parti politique le plus corrompu d'Europe". 2017-09-22. ^ Osipian, Ararat. (2013). Recruitment and Admissions: Fostering Transparency on the Path to Higher Education. In Transparency International: Global Corruption Report: Education (pp. 148–54). New York: Routledge, 536 p.
^ Osipian, Ararat. (2015). Global and Local: Standardized Testing and Corruption in Admissions to Ukrainian Universities. In Carolyn A. Brown (Ed.). Globalisation, International Education Policy, and Local Policy Formation (pp. 215–34). New York: Springer. ^ a b c "ararat.osipian". ^ Osipian, Ararat. (2013). Corrupt Organizations: Modeling Educators’ Misconduct with Cellular Automata. Computational & Mathematical Organization Theory, 19(1), pp. 1–24. ^ Osipian, Ararat. (2009). Corruption Hierarchies in Higher Education in the Former Soviet Bloc. International Journal of Educational Development, 29(3), pp. 321–30. ^ Osipian, Ararat. (2010). Corrupt Organizational Hierarchies in the Former Soviet Bloc. Transition Studies Review, 17(4), pp. 822–36. ^ Osipian, Ararat. (2014). Will Bribery and Fraud Converge? Comparative Corruption in Higher Education in Russia and the USA. Compare: A Journal of Comparative and International Education, 44(2), pp. 252–73. ^ Osipian, Ararat. (2008). Corruption in Higher Education: Does it Differ Across the Nations and Why? Research in Comparative and International Education, 3(4), pp. 345–65. ^ Osipian, Ararat. (2012). Grey Areas in the Higher Education Sector: Legality versus Corruptibility. Brigham Young University Education and Law Journal, 1(1), pp. 140–90. ^ Osipian, Ararat. (2009). Investigating Corruption in American Higher Education: The Methodology. FedUni Journal of Higher Education, 4(2), pp. 49–81. ^ Osipian, Ararat. (2010). Corruption in the Politicized University: Lessons for Ukraine’s 2010 Presidential Elections. Innovation: The European Journal of Social Science Research, 23(2), pp. 101–14. ^ Osipian, Ararat. (2012). Loyalty as Rent: Corruption and Politicization of Russian Universities. International Journal of Sociology and Social Policy, 32(3/4), pp. 153–67. ^ Osipian, Ararat. (2008). Political Graft and Education Corruption in Ukraine: Compliance, Collusion, and Control. Demokratizatsiya: The Journal of Post-Soviet Democratization, 16(4), pp. 323–44. ^ Osipian, Ararat. (2009). “Feed from the Service”: Corruption and Coercion in the State—University Relations in Central Eurasia. Research in Comparative and International Education, 4(2), pp. 182–203. ^ Osipian, Ararat. (2012). Who is Guilty and What to Do? Popular Opinion and Public Discourse of Corruption in Russian Higher Education. Canadian and International Education Journal, 41(1), pp. 81–95. ^ Osipian, Ararat. (2007). Higher Education Corruption in Ukraine: Opinions and Estimates. International Higher Education, 49, pp. 20–21. ^ Osipian, Ararat. (2012). Economics of Corruption in Doctoral Education: The Dissertations Market. Economics of Education Review, 31(1), pp. 76–83. ^ Osipian, Ararat. (2010). Le Bourgeois Gentilhomme: Political Corruption of Russian Doctorates. Demokratizatsiya: The Journal of Post-Soviet Democratization, 18(3), pp. 260–80. ^ Osipian, Ararat. (2014). Transforming University Governance in Ukraine: Collegiums, Bureaucracies, and Political Institutions. Higher Education Policy, 27(1), pp. 65–84. ^ Osipian, Ararat. (2008). Corruption and Coercion: University Autonomy versus State Control. European Education: Issues and Studies, 40(3), pp. 27–48. ^ O sipian, Ararat. (2007). Corruption in Higher Education: Conceptual Approaches and Measurement Techniques. Research in Comparative and International Education, 2(4), pp. 313–32. ^ a b Heyneman, S. P., Anderson, K. H. and Nuraliyeva, N. (2008). The cost of corruption in higher education. Comparative Education Review, 51, 1–25. ^ "FBI – Italian/Mafia". Fbi.gov. Archived from the original on 2014-05-24. Retrieved 2014-04-24. ^ Isaiah 1:2–31, Amos 5:21–24. ^ Kevin M. Kruse, One Nation Under God: How Corporate America Invented Christian America (2015), p. 7. ^ Kevin M. Kruse, One Nation Under God: How Corporate America Invented Christian America (2015), p. 86. ^ Arthur Schopenhauer, “On Philosophy in the Universities,” Parerga and Paralipomena, E. Payne, trans. (1974) Vol. 1, p. 141. ^ Arthur Schopenhauer, “Sketch for a history of the doctrine of the ideal and the real,” Parerga and Paralipomena, E. Payne, trans. (1974) Vol. 1, pp. 21–22. ^ eddiegilman (20 July 2016). 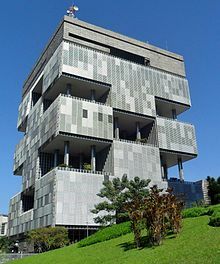 "Petrobras". Fortune. Retrieved 30 August 2016. ^ a b c "Brazil Arrests Head of Odebrecht in Petrobras Scandal". The New York Times. 20 June 2015. Retrieved 22 December 2016. ^ Economia UOL. Commercial dollar: quotation and charts. Retrieved July 23, 2017. ^ "Leia o manifesto dos Advogados que comparam Lava Jato à inquisição". ^ Raquel Stenzel (January 20, 2017). "Brazil Supreme Court judge handling graft probe killed in plane crash". Reuters. Retrieved January 20, 2016. ^ a b Lin, Tom C. W. (2016-04-14). "Financial Weapons of War, Minnesota Law Review (2016)". SSRN 2765010. ^ e.V., Transparency International. "Transparency International – The Global Anti-Corruption Coalition". www.transparency.org. Archived from the original on 2011-04-16. ^ J. Graf Lambsdorff (2006). "Corruption Perceptions Index 2006". Transparency International. Archived from the original on 2011-04-16. Retrieved 2008-01-21. ^ a b c d "Overview of corruption and anti-corruption in Angola" (PDF). Transparency International. ^ "Index of Economic Freedom". The Heritage Foundation. 2008. Retrieved 2008-01-21. ^ "Angolagate: les principaux acteurs de l'affaire". Le Figaro. 2007-03-28. ^ "United Nations Handbook on Practical Anti-Corruption Measures For Prosecutors and Investigators" (PDF). United Nations Office on Drugs and Crime (UNODC). Retrieved 3 November 2012. ^ "Just what are you trying to pull?". 2013-09-30. ^ Dobos, Ned (14 September 2015). "Networking, Corruption, and Subversion". J Bus Ethics. 144 (3): 467–478. doi:10.1007/s10551-015-2853-4. ^ "Favoritism, Cronyism, and Nepotism". Santa Clara. Retrieved 2017-02-28. ^ a b c Mo, P.H. (2001). Corruption and Economic Growth. Journal of Comparative Economics, 29, 66–79. ^ Dimant, Eugen; Tosato, Guglielmo (2017-01-01). "Causes and Effects of Corruption: What Has Past Decade's Empirical Research Taught Us? a Survey". Journal of Economic Surveys. 32 (2): 335–356. doi:10.1111/joes.12198. ISSN 1467-6419. ^ "Increase in the number of civil complaints against acts of corruption. [Social Impact]. ALACs. Promotion of Participation and Citizenship in Europe through the "Advocacy and Legal Advice Centres (ALACs)" of Transparency International (2009–2012). Framework Programme 7 (FP7)". SIOR, Social Impact Open Repository. ^ "Impact on national legislation. [Social Impact]. ALACs. Promotion of Participation and Citizenship in Europe through the "Advocacy and Legal Advice Centres (ALACs)" of Transparency International (2009–2012). Framework Programme 7 (FP7)". SIOR, Social Impact Open Repository. ^ "IMF on OECD Convention, (page 3) Historical Background and Context" (PDF). imf.org. ^ "OECD Convention on Combating Bribery of Foreign Public Officials in International Bearer of Transactions". oecd.org. ^ "Country monitoring of the OECD Anti-Bribery Convention". oecd.org. ^ Jensen, Nathan M.; Malesky, Edmund J. (2017). "Nonstate Actors and Compliance with International Agreements: An Empirical Analysis of the OECD Anti-Bribery Convention". International Organization. 72 (1): 33–69. doi:10.1017/S0020818317000443. ISSN 0020-8183. ^ a b "Forgues-Puccio, G.F. April 2013, Existing practices on anti-corruption, Economic and private sector professional evidence and applied knowledge services helpdesk request". Retrieved 2014-04-24. ^ Carney, Gordon Fairclough And Sean. "Czech Republic Has Its Answer to the Beverly Hills Star Tour". Wall Street Journal. ISSN 0099-9660. Retrieved 2016-03-04. ^ "Meet the strangest startup in travel: CorruptTour | CNN Travel". travel.cnn.com. Retrieved 2016-03-04. ^ Bilefsky, Dan (2013-08-12). "On the Crony Safari, a Tour of a City's Corruption". The New York Times. ISSN 0362-4331. Retrieved 2016-03-04. ^ Cameron, Rob (2014-06-02). "Corruption redefined as tourism in Czech Republic – BBC News". Retrieved 2016-03-04. ^ "So much corruption, stuffed into one Chicago tour". Reuters. 2017-05-03. Retrieved 2017-05-11. ^ Político*, Animal. "Tour Bus Offers Sightseeing of Emblematic Corruption Spots in Mexico City". www.insightcrime.org. Retrieved 2017-05-11. ^ "Using tourism to teach Mexicans about corruption". The Economist. Retrieved 2017-05-11. ^ Kaufmann, Daniel; Vicente, Pedro (2011). "Legal Corruption (revised)" (PDF). Economics and Politics, v23. pp. 195–219. ^ Kaufmann, Daniel; Vicente, Pedro (2011). "Legal Corruption (revised)" (PDF). Economics and Politics, v23. p. 195. ^ "Foreign Corrupt Practices Act". justice.gov. 2015-06-09. ^ a b c "Drucksache 12/8468" (PDF). Bonn Parliament records. September 8, 1994. pp. 4–6. ^ Drucksache 12/8468: "Die Ablehnung erfolgte mit den Stimmen der Koalitionsfraktionen gegen die Stimmen der Fraktion der SPD bei Abwesenheit der Gruppen BÜNDNIS 90/DIE GRÜNEN und der PDS/Linke Liste." ^ the term "official" had been limited to German jurisdiction. Officials of other states legally were no "officials". See für Rolf Keller" Essay in Memory for Rolf Keller, 2003, Edited by Criminal Law professors from the Law Faculty of Tübingen and the Ministry of Justice of Baden-Wuerttemberg, Germany, page 104: "Nach der Legaldefinition des §11 I Nr.2a StGB versteht man unter einem Amtsträger u. a. eine Person, die >>nach deutschem Recht Beamter oder Richter ist. Die Vorschrift enthält also eine vom Wortlaut her eindeutige Einschränkung auf das deutsche Recht. Ausländische Amtsträger werden somit nicht erfasst." ^ "OECD: Recommendation of the Council on Bribery in International Business Transactions" (PDF). ^ Britta Bannenberg, Korruption in Deutschland und ihre strafrechtliche Kontrolle, page VII (Introduction): "Durch die OECD-Konvention und europaweite Abkommen wurden auch in Deutschland neue Anti-Korruptions-Gesetze geschaffen, so dass nun die Auslandsbestechung durch deutsche Unternehmen dem Strafrecht unterfällt und die Bestechungsgelder nicht mehr als Betriebsausgaben von der Steuer abgesetzt werden können." ^ Parliamentary Financial Commission's study 1994, pp. 6–7: "Nach Auffassung der Fraktion der SPD belegt auch der Bericht der Bundesregierung eindeutig, daß in den meisten ausländischen Industriestaaten Schmier- und Bestechungsgelder in wesentlich geringerem Umfang als in der Bundesrepublik Deutschland steuerlich abgesetzt werden könnten. So müsse in fast allen Staaten bei Zahlungen in das Ausland der Empfänger angegeben werden... Die Abzugsfähigkeit der genannten Ausgaben (Schmier- und Bestechungsgelder) stelle eine steuerliche Subvention dar..."
^ a b "HRRS Februar 2008: Saliger/Gaede – Rückwirkende Ächtung der Auslandskorruption und Untreue als Korruptionsdelikt – Der Fall Siemens als Start-schuss in ein entgrenztes internationalisiertes Wirtschaftsstrafrecht? · hrr-strafrecht.de". hrr-strafrecht.de. ^ Transparency International: "Geschützt durch das Steuergeheimnis dürfen die Steuerbehörden Hinweise auf Korruption nicht an die Staatsanwaltschaft melden." ^ "Schattenwirtschaft – Umfang in Deutschland bis 2015 – Statistik". Statista. ^ "HRRS Februar 2008: Saliger/Gaede – Rückwirkende Ächtung der Auslandskorruption und Untreue als Korruptionsdelikt – Der Fall Siemens als Start-schuss in ein entgrenztes internationalisiertes Wirtschaftsstrafrecht? – hrr-strafrecht.de". hrr-strafrecht.de. ^ "HRRS Februar 2008: Saliger/Gaede – Rückwirkende Ächtung der Auslandskorruption und Untreue als Korruptionsdelikt – Der Fall Siemens als Start-schuss in ein entgrenztes internationalisiertes Wirtschaftsstrafrecht? · hrr-strafrecht.de". hrr-strafrecht.de. ^ 2 Peter 1:4, 2:20. ^ Andrew L. Fitz-Gibbon, In the World But Not Of the World: Christian Social Thinking at the End of the Twentieth Century (2000), See also John 15:19. Wikimedia Commons has media related to Corruption. This page was last edited on 21 April 2019, at 13:25 (UTC).